Fiction, Poetry & Fan Art now available on this page. Click here to Enter the archive or scroll down to check out what else is here. 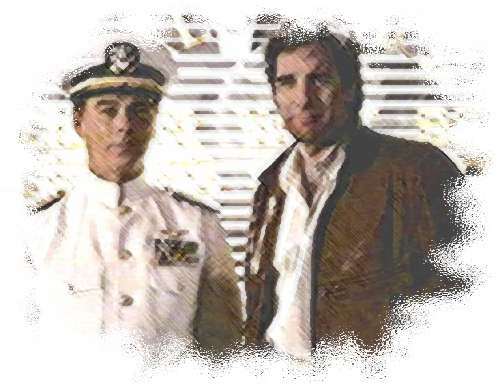 As far back as I can remember, long before I started writing Quantum Leap slash myself I have been hearing that this fandom is dying out. Well, I don't believe it and in fact if I have my way it will never happen. To do my part I have created a few banners to promote the love of Sam and Al. It's very basic and what I would like everyone to do who is involved in this fandom is take one of the banners I have made and place it somewhere visible. Don't forget to link the banner back to this page so that anyone who see's it will know where to come and save one of their own. 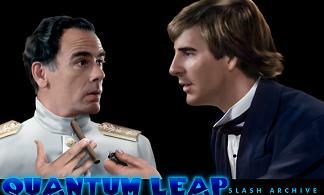 Note - By everyone I mean anyone who writes either fiction or poetry, make pictures for or simply hosts a website that includes Quantum Leap slash then I invite you to be a part of this project to keep the love alive. Website Design and Code ©Alia 2003 - 4.